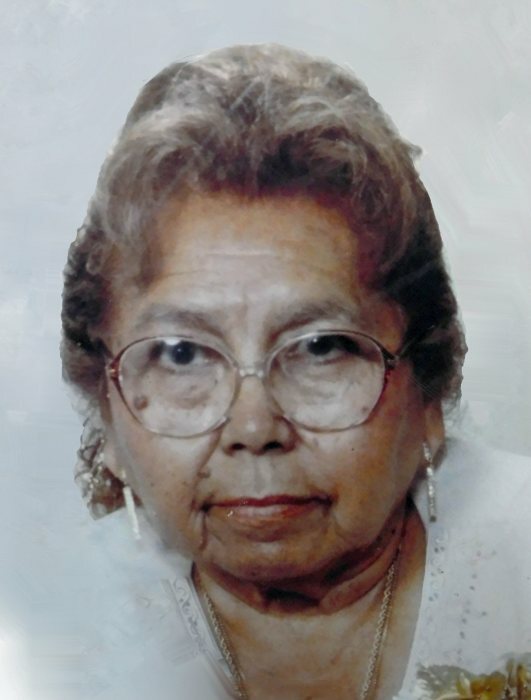 Maria Aurelia Robledo, 92, entered into eternal rest on Friday, January 25. 2019 surrounded by her family at her home in McAllen. Aurelia, as she was lovingly known and called by her family and friends was born on May 16, 1926 in McAllen, Texas. She attended Sacred Heart Church in McAllen for many years. She truly enjoyed spending time with her family, friends and especially her grandchildren. Aurelia was preceded in death by her parents; her husband: Estanislao Robledo; and a grandson: Fernando Robledo, Jr.
She is survived by her children: Juan Arturo Robledo, Ricardo Robledo, Fernando Robledo, Rodolfo Robledo and Alfredo Robledo; her siblings: Hope Graff, Raquel Gamboa and Gustavo Ortiz; numerous grandchildren and great-grandchildren.